THE HAGUE: Syria’s declared chemical arms arsenal has been completely destroyed capping more than two years of delicate work, the global watchdog charged with eliminating the world’s toxic weapons said on Tuesday. “One hundred per cent has been destroyed,” Malik Ellahi, the spokesman for the UN-backed Organization for the Prohibition of Chemical Weapons (OPCW), told AFP. But The Hague-based organisation still remains deeply concerned by reports of the use of sarin and mustard gas in the country, as well as deadly chlorine gas in Syria’s brutal civil war. Under the terms of a historic deal hammered out in September 2013 by US Secretary of State John Kerry and his Russian counterpart Sergei Lavrov, Syria finally admitted to possessing over 1,000 tonnes of chemical weapons after years of denials and agreed to hand over the whole stockpile for destruction. The deal averted threatened US air strikes against Damascus after a sarin gas attack on rebel-held areas near the capital that were blamed by the West and the opposition on the regime in August 2013, in which hundreds of civilians were killed. Under the agreement, Syria’s entire chemical arsenal had been due to be eliminated by June 30, 2014, and all chemical effluent by December 31, 2014. But the timetable slipped badly amid protractions by the regime of Syrian President Bashar al-Assad and complications posed by the civil war about to enter its fifth year. The last remaining vestiges of the declared stockpile – some 75 cylinders of highly-corrosive hydrogen fluoride – were destroyed by the US firm Veolia at its treatment plant Port Arthur in Texas, the OPCW said. “This completes destruction of all chemical weapons declared by the Syrian Arab Republic,” the Hague-based OPCW said in a statement issued yesterday. “The need to devise a technical solution for treating a number of cylinders in a deteriorated and hazardous condition had delayed the disposal process,” it added. 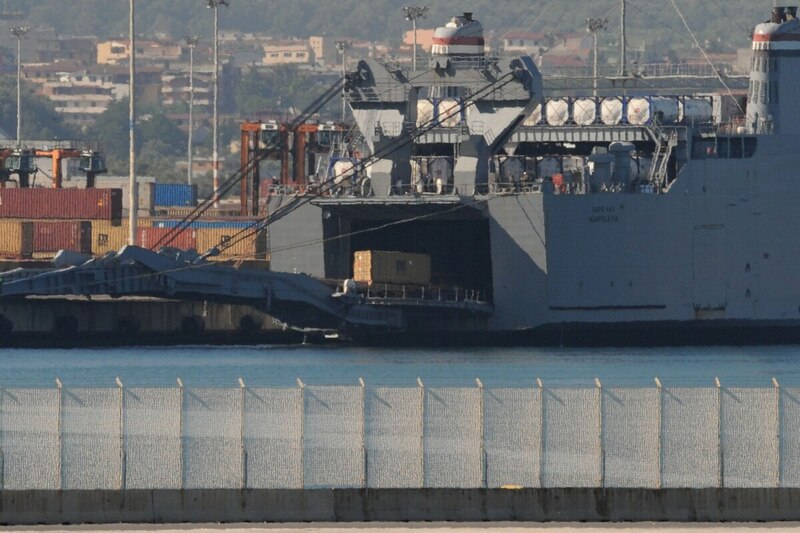 A total of 1,300 metric tonnes of chemical weapons have been removed from Syria, with the majority neutralised on the US Navy ship MV Cape Ray – and turned into less harmful effluent. See another version of the Agence France-Press report of January 5, 2016, on Defense News.